Bill Payment- We accept cash, check, and credit cards. To pay by check or cash- please send payment to PO Box 97, Fulton Oh 43321. If you are in need of a payment plan, please contact our office. Life Line Medical does offer financial hardship packets. Please contact our office for information and a packet. Patient Privacy: If you would like to know more about Life Line Medical's Privacy Act and HIPAA rules and regulations. Please Click here, or you can contact our Privacy Officer- click here. Identity Theft: We strive to protect your identity and will protect your personal information. To know more about our Identity Theft policy please click here. 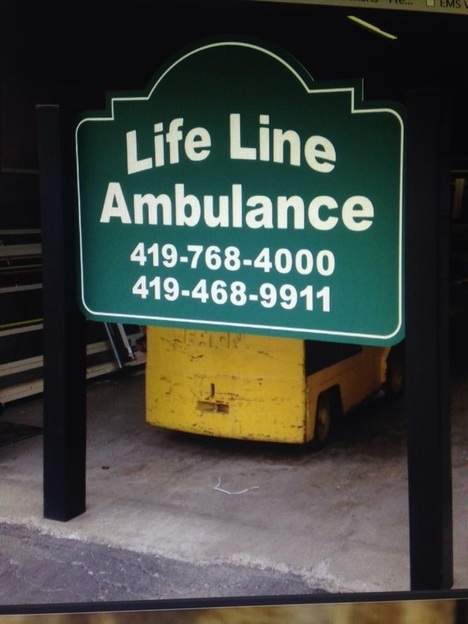 Patient/community: If you would like to know more about what Life Line Medical can offer our patients including Ambulance transports, CPR classes, and First Aid clickhere. American Cancer Society: If you would like to be part of our Relay for Life Team or would like to donate. Please click here.